A recent article from Medscape Multispecialty discusses how new studies show patients who suffer from psoriatic arthritis (PsA) or cutaneous psoriasis (PsC) do not have increased risk factors following total hip replacement, as compared to patients who suffer from osteoarthritis (OA). Essentially, osteoarthritis is the far more common form of hip arthritis for patients who undergo a total hip replacement operation. This operation is also known as a hip arthroscopy, which is the medical term for a complete joint reconstruction or replacement. Psoriatic arthritis, on the other hand, is a type of arthritis that can develop in some patients who suffer from psoriasis, as the name would imply. Psoriasis involves red patches that develop on the skin and can later form white or silver scale-like coverings. Some of these patients will develop a joint disease as a result of the psoriasis. This is known as psoriatic arthritis. This pain can develop in the hip and cause enough pain to where the patient elects to have a total hip replacement. However, the conventional wisdom in the medical community was that patients who suffer from other types of arthritis than osteoarthritis would be more likely to suffer potentially serious complications following a total hip replacement operation. One of the complications that was believed to be more likely was the development of serious infections. There is always a risk of infection following a major surgery, but it is best to avoid any unnecessary, risks as these infections can be very painful and difficult, if not impossible, to treat in some of the most serious cases. In addition to psoriatic arthritis and osteoarthritis, there is also a third type of condition known as cutaneous psoriasis that can result in the need for a total hip replacement. This type of psoriasis is a potentially serious skin condition that is generally linked to genetic causes and can result in problems with the immune system, including T-cells. Older studies also suggested these patients were at higher risks for complications following a total hip replacement. These news studies show that might not be the case for these patients, as well. All of these studies are obviously assuming the artificial hip replacement device itself will be properly designed and full functioning. However, what Boston hip replacement injury attorneys have seen is that various artificial hip implants have been defectively designed and this has resulted in serious pain and suffering to many victims. One model of artificial hip that has been particular dangerous is a metal-on-metal hip joint manufactured by a company called DePuy. This artificial hip was designed to function smoother, but in reality there were metal shavings that rubbed off these hips, causing serious injury to patients and total device failure. 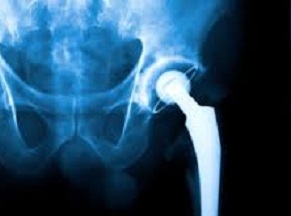 If you have had a total hip replacement and have been told you will need a second or subsequent surgery to replace the defectively designed hip, you should speak with an experienced hip replacement injury attorney as soon as possible to see if you have a valid claim against the maker of the artificial hip joint.